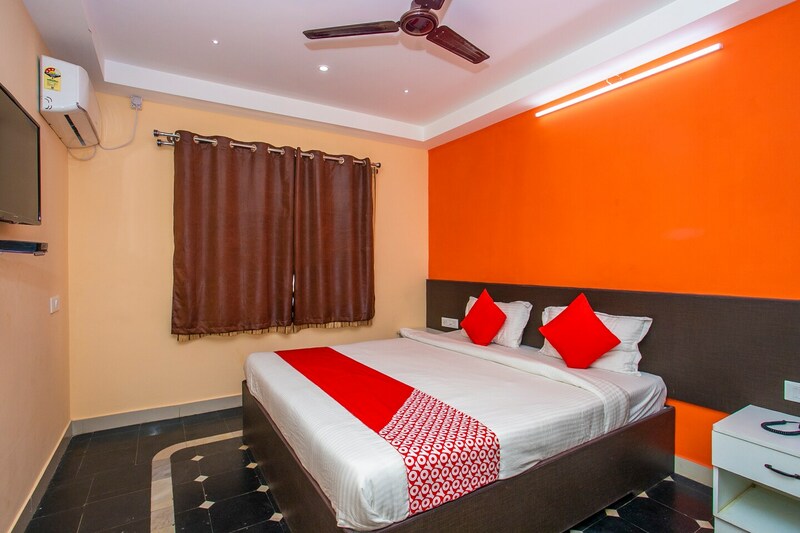 The Hotel in Bangalore offers a refreshing stay with its bright rooms and modern decor. The rooms are painted in bright hues with striking black floors, false ceilings and minimalist furniture including desk and chair, and wardrobe. The hotel provides elevator service, free WiFi connectivity, parking facility, and power backup. There is a dedicated in-house restaurant and dining areas indoors and outdoors to cater to hunger pangs of guests. The hotel has a CCTV camera setup for added security and also has a banquet hall for the use of guests. Guests can complete payment by card as well, which is accepted at the hotel.